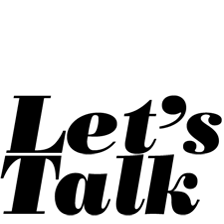 Let’s Talk has invited readers to write what they appreciate about Martin Luther as we observe the 500th anniversary jubilee of the Reformation. I’m a cradle Lutheran who grew up in a church-going family, so I’ve had a long relationship with the reformer. I don’t know when I first became aware of Martin Luther, but I remember seeing the classic black-and-white film Martin Luther (1953) when it was shown in a downtown movie theatre when I was about age ten. I saw the film several times after that in church showings (with reels and a projector!) and the Irish actor Niall MacGiniss is indelibly etched in my memory as the face of Martin Luther. Of course, I memorized Luther’s Small Catechism in confirmation class and had to recite parts of it in front of the congregation before my confirmation on Palm Sunday (a real Lenten scrutiny). I earned the Lutheran Scouting religious award, Pro Deo et Patria, at about age fourteen, which included as one of my projects writing a 30-page paper on the life of Martin Luther under the supervision of my pastor. 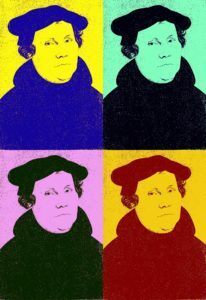 In my high school world history course during my sophomore year I wrote a term paper on some aspect of Luther and the Reformation, although I don’t remember now what it was. In a college religion course I wrote a paper on Luther’s orders of creation (church, state, household). I recollect this personal history with Martin Luther to indicate that there are probably many things I appreciate about Luther. I won’t list them all here. I will single out what has been most existential to me and that is Luther’s sacramental theology as it relates to the human body. In particular, I appreciate his dogged defense of the real presence of Christ in the Eucharist. In my new book, Eucharistic Body, I recount my early adolescent experiences of being bullied and sexually molested when I was thirteen.1 In my experience of receiving first Communion on Easter Day 1957 I believed that I was not only forgiven whatever real or imagined adolescent sins I had committed, but also that honor was restored to my dishonored body when I received the sacramental body and blood of Christ into my body. I have come to believe that the body itself is sanctified by the sacrament, not just the soul. We are physically in union with Christ and in this real sense become bodily “a little Christ to our neighbor” when we are dismissed from the Eucharistic assembly. My first Communion was the most important religious experience of my early life. I didn’t have the intellectual concepts to understand why the sacrament was so important to my faith at age fourteen. I accepted the Catechism’s teaching that the benefits of the sacrament are forgiveness of sins, life, and salvation. In college my faith sought understanding. The concept of sacramentality began to fall into place as I read Alexander Schmemann’s For the Life of the World (first written for the National Student Christian Federation in 1963) and Mircea Eliade’s The Sacred and the Profane. Schmemann wrote that “The world was created as the ‘matter,’ the material of one all-embracing eucharist, and man was created as the priest of this cosmic sacrament.”2 Eliade wrote, “By manifesting the sacred, any object becomes something else, yet it continues to remain itself, for it continues to participate in its surrounding cosmic milieu.”3 To see the whole created world as an all-embracing sacrament given to us as food and drink (Schmemann) and particular natural objects like stones and trees (like bread and wine) as hierophanies of the divine presence (Eliade) while remaining natural greatly expanded my sense of sacramentality. But how do I have access to this cosmic sacrament? How does it become a specific means of grace for me? Here Dr. Luther entered the discussion. Luther says in his Catechisms, following in the tradition of Ambrose and Augustine and Aquinas, “the Word makes the sacrament.” Only when the word is joined to the sign is there a sacrament. But there is also no sacrament without the external signs of bread and wine because “sacrament” is an external sign. Luther also emphasized that there is no right use of the sacrament unless communicants are eating and drinking the bread and wine. This means taking these earthly elements into our earthly bodies. Since Luther believed that the bread and wine are received as the body and blood of Christ (the Formula of Concord says “in, with, and under”), according to Christ’s word, we ingest Christ’s body and blood. Lutherans have stressed Luther’s rejection of the sacrificial character of the Eucharist (what we offer to God) in favor of the gift character (what God offers to us). In The Babylonian Captivity of the Church (1520) Luther speaks of the Eucharist as Christ’s last will and testament.11 And the inheritance bequeathed to his followers is the promise of forgiveness of sins. But this is only one of the three benefits of the sacrament listed in the Small Catechism. The other two are life and salvation. “Life” here is not limited to “eternal” and may, in fact, refer to living the Christian life here and now in our earthly bodily existence as well as expecting eternal life and salvation in the resurrection of the body—although, to be sure, forgiveness of sins is held up as the primary gift “because where there is forgiveness of sins, there is also life and salvation.”12 Forgiveness of sins is a precondition for life and salvation. This significance of baptism—the dying or drowning of sin—is not fulfilled completely in this life. Indeed, this does not happen until man passes through bodily death and completely decays to dust. As we can plainly see, the sacrament or sign of baptism is quickly over. But the spiritual baptism, the drowning of sin, which it signifies, lasts as long as we live and is completed only in death. A new life is born of water and the Spirit in the sacrament of Baptism. But it is a life of struggle between the new Adam and the old. To aid us in persevering in this struggle there is prayer, Scripture, confession and absolution, but most of all there is the Eucharist and the communion of saints. In his sermon On the Blessed Sacrament of the Holy and True Body of Christ, and the Brotherhoods (1519), Luther shows how we are joined to the communion of saints in the Eucharist which support us in our struggles. To receive this sacrament in bread and wine, then, is nothing else than to receive a sure sign of this fellowship and incorporation with Christ and all saints…. Luther goes on with an extended analogy of all the things citizens of a city possess in common for their mutual defense against adversaries. He then paints a realistic picture of the adversities that afflict the baptized Christian. According to Luther, this is the relationship of Baptism to the Eucharist. The lifelong struggle between the old Adam and the new begun in baptism continues throughout the whole of our earthly life. This necessitates the nourishment and help provided by this second sacrament. Our struggles of body and soul are brought to the table where they are taken on by Christ and the communion of saints. They are taken on by Christ because Christ becomes a part of us just as we become a part of him when we receive the sacrament of his body and blood into our bodies. The sacrament signifies union with Christ. Our struggles are also taken on by the saints who have been joined to Christ by a common sharing (koinonia) of the sacrament of the body and blood of Christ. I have found it helpful to refer to the social body of Christ (the church) as an “interpersonal body.”28 This is not a term used by Luther; in fact, I learned it from a Buddhist teacher of meditation, Reginald Ray. But it well describes the corporate character of the communion of saints taught by Luther in this remarkable sermon on the relationship between the Eucharist and the communion of saints. Ray writes that “…the more we descend into our body, the more we uncover a very vast and expanding interpersonal world of connections with other people.” In fact, “We discover, then, that to have a body is already to be in intimate and extensive connection to others.”29 Other people have experienced what we struggle with and we connect with them in a common bond of mutual struggles. But our connections are carried to a new level by our common sharing of the sacrament of the body and blood of Christ. Luther’s strong sense of the real presence of Christ in, with, and under the sacramental elements is what I appreciated most in my early life and what I appreciate now at my present stage in life. As I emphasized in Eucharistic Body, the sacramental body of Christ is received into the body of the communicant who consumes the bread and wine and these elements are shared among the members of the interpersonal body in the communion of saints. This is a return to the intuitions of my youth, but now I am equipped with concepts—not only from theology but also from biochemistry, neuroscience, embodied mind theory, and philosophy30—that can help me express what I experienced so profoundly when I brought to the table of the Lord all my adolescent bodily anxieties and ate a tasteless wafer that stuck to the roof of my mouth and drank a little glass of wine that burned my esophagus as I swallowed it. God connects with human beings through the church community, its rituals and traditions. I have long taught that theology needs to pay more attention to the social structures and natural symbols studied by anthropologists because God has worked through these structures and symbols. But I think Luther would never let us forget that the sacramental body addresses human bodies that are formed by these structures and use these symbols. In exhorting Christians to come to Communion in The Large Catechism, his argument of last resort is to say to those who don’t feel a need for the sacrament that “they should put their hands to their bosom to determine whether they are made of flesh and blood. If you find that you are, then for your own good turn to St. Paul’s Epistle to the Galatians and hear what the fruits of your flesh are.” He cites the “works of the flesh” in Galatians 5:19-20. “Again,” wrote Luther, “look around you and see whether you are also in the world. If you do not know, ask your neighbor about it. If you are in the world, do not think that there will be any lack of sins and needs.” After describing some of these, Luther concludes: “Moreover, you will surely have the devil around you, too. You will not entirely trample him underfoot because our Lord Jesus Christ could not entirely avoid him.”33 Faced with the flesh, the world, and the devil, we need the sacrament for the strengthening of body, soul, and mind as we live in this world. The sacraments are all about God connecting with us bodily. The Eucharist especially is about the connection of bodies: Christ’s body, the communicant’s body, the church’s interpersonal body all joined together as food and drink given, received, and shared. ^Frank C. Senn, Eucharistic Body (Minneapolis: Fortress Press, 2017), chapter 4. ^Alexander Schmemann, For the Life of the World: Sacraments and Orthodoxy (Crestwood, NY: St. Vladimir’s Seminary Press, 1973), 15. ^Mircea Eliade, The Sacred and the Profane, trans. Willard Trask (New York and Evanston: Harper and Row, 1957), 12. ^Martin Luther, “That These Words of Christ, ‘This Is My Body,’ Etc., Still Stand Firm Against the Fanatics,” Luther’s Works [LW] 37, ed. and trans. Robert H. Fischer (Philadelphia: Muhlenberg Press, 1961), 67-68. ^G. R. Potter, Zwingli (Cambridge, UK: Cambridge University Press, 1976), 293. ^Lee Palmer Wandel, The Eucharist in the Reformation: Incarnation and Liturgy (Cambridge, UK: Cambridge University Press, 2006), 207. ^Bodo Nischan, Prince, People, and Confession: The Second Reformation in Brandenburg (Philadelphia: University of Pennsylvania Press, 1994), 64-65. ^The Book of Concord, ed. Robert Kolb and Timothy J. Wengert (Minneapolis: Fortress Press, 2000), 362. ^Frank C. Senn, Embodied Liturgy: Lessons in Christian Ritual (Minneapolis: Fortress Press, 2016). ^John Paul II, Man and Woman He Created Them: A Theology of the Body, trans. with Introduction by Michael Waldstein (Boston: Pauline Books and Media, 2006). ^“Even As We Live Each Day,” Lutheran Book of Worship, Hymn 350. ^Richard Marius, Martin Luther: The Christian Between God and Death (Cambridge, MS: The Belknap Press of Harvard University, 1999). ^Heiko Oberman, “Varieties of Protest,” The New Republic 16 August 1999: 40-45. ^Neil R. Leroux, Martin Luther as Comforter: Writings on Death (Leiden: Brill, 2002), 278. ^Senn, Eucharistic Body, chapter 5. ^Reginald A. Ray, Touching Enlightenment: Finding Realization in the Body (Boulder, CO: SoundsTrue, 2008, 2014), 279. ^See, for example, George Lakoff and Mark Johnson, Philosophy in the Flesh: The Embodied Mind and Its Challenge to Western Thought (New York: Basic Books, 1999); David Hogue, Remembering the Future, Imagining the Past: Story, Ritual, and the Human Brain (Cleveland: Pilgrim Press, 2003); Mark Johnson, The Meaning of the Body (Chicago and London: University of Chicago Press, 1999); Besser van der Kolk, The Body Keeps the Score: Brain, Mind, and Body in the Healing of Trauma (New York: Viking, 2014). ^Louis-Marie Chauvet, The Sacraments: The Word of God at the Mercy of the Body (Collegeville, MN: Liturgical Press, 2001). ^See Maurice Merleau-Ponty, Phenomenology of Perception, trans. Donald A. Landes (London and New York: Routledge, 2012, 2014). ^The Book of Concord, 474-75.